EXO to debut at Chinese Grammy Awards? 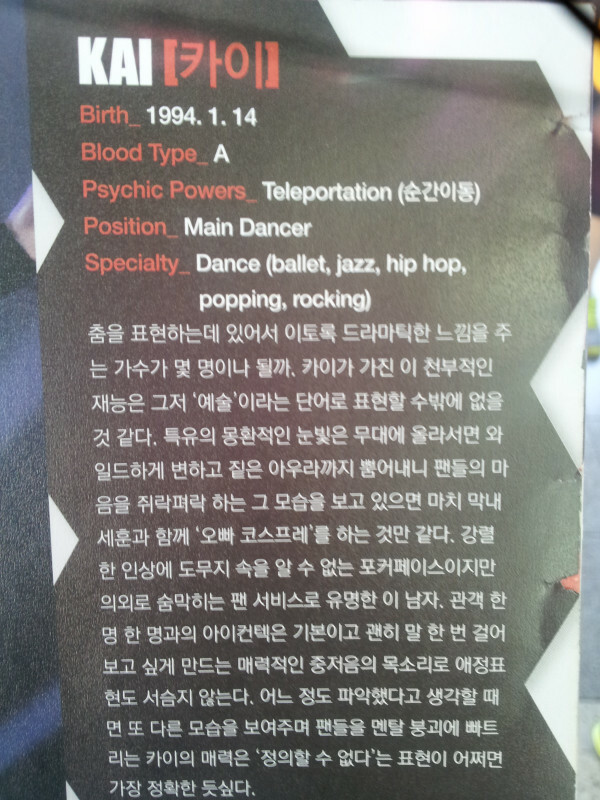 Information has finally been released about EXO-M‘s debut. EXO-M and EXO-K will both be debuting on April 8th. 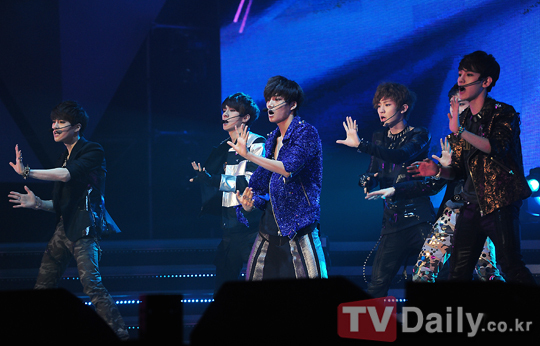 EXO-K on SBS ‘Inkigayo’ and and EXO-M at the ‘yin yue feng yun bang‘ awards. It’s awesome to think that EXO-M will be debuting at such an amazing event. The ’12th yin yue feng bang’ awards ceremony is one of the representative music festivals where the biggest stars attend and perform. So much so that is also known as the Chinese Grammy Awards. EXO-M were invited to perform their as a special guest even though they are a new group. 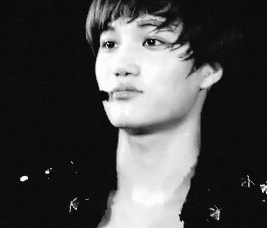 EXO-K and EXO-M’s debut is became more anticipated because of the preview that was played for EXO-K’s debut on Inkigayo, coming up. What more is that the appearance of EXO-M on the ’12th yin yue feng yun bang’ awards will be broadcast live through SINA.com and will also be aired through China’s BTV and AHTV later on. So make sure you watch their spectacular debut performance. EXO-K and EXO-M’s first mini album ‘MAMA’ will be released on April 9th. As previously reported, EXO-K will be having their official debut stage next week on Inkigayo. 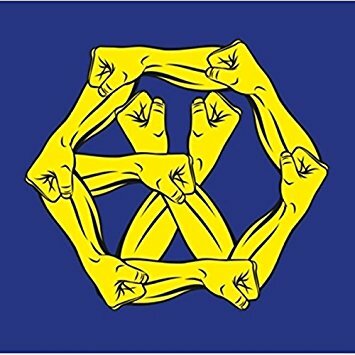 On the April 1st broadcast of SBS’ Inkigayo EXO-K’s 11-second teaser was shown for their debut stage that will be on April 8th. Each member of EXO-K was shown in the teaser with a group photo at the end and the instrumental version of their second prologue single ‘History‘ was playing in the background. Inkigayo was back today with a show full of great performances from many of your favourite artists, MC-ed by Goo Hara, Nicole and IU. Taw and HaHa had their third collaboration stage with ‘The Person By My Side’. SHINee made their comeback stage on Inkigayo today and performed ‘Stranger’ and ‘Sherlock’. New boy band from Cube Entertainment, BtoB made their debut with ‘Insane’ and ‘Imagine’. And MBLAQ had their Inkigayo goodbye stage with ‘Run’. The Take 7 competitors were: Ailee, 2AM, B1A4, miss A, K.Will, Se7en and Big Bang! 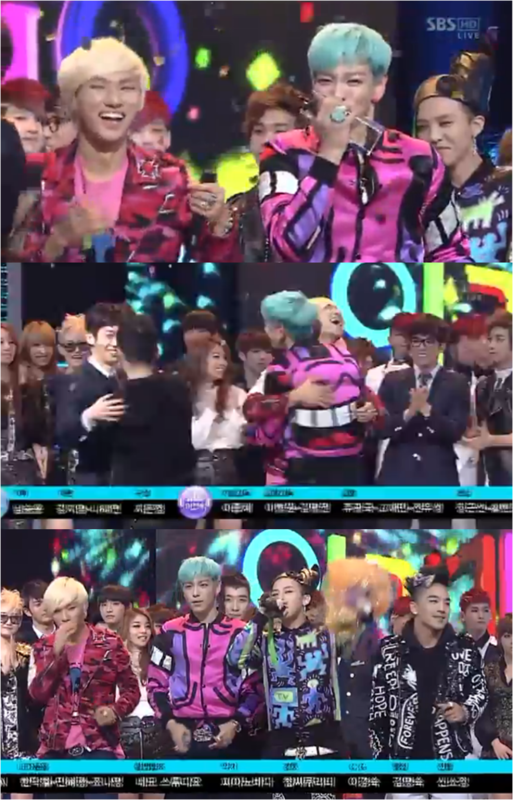 However today Big Bang proved to be the winner and grabbed their much deserved mutizen award. With a great reaction to their win, Big Bang rushed to the front of the stage upon hearing the news of their victory and ran around, hugging each other. 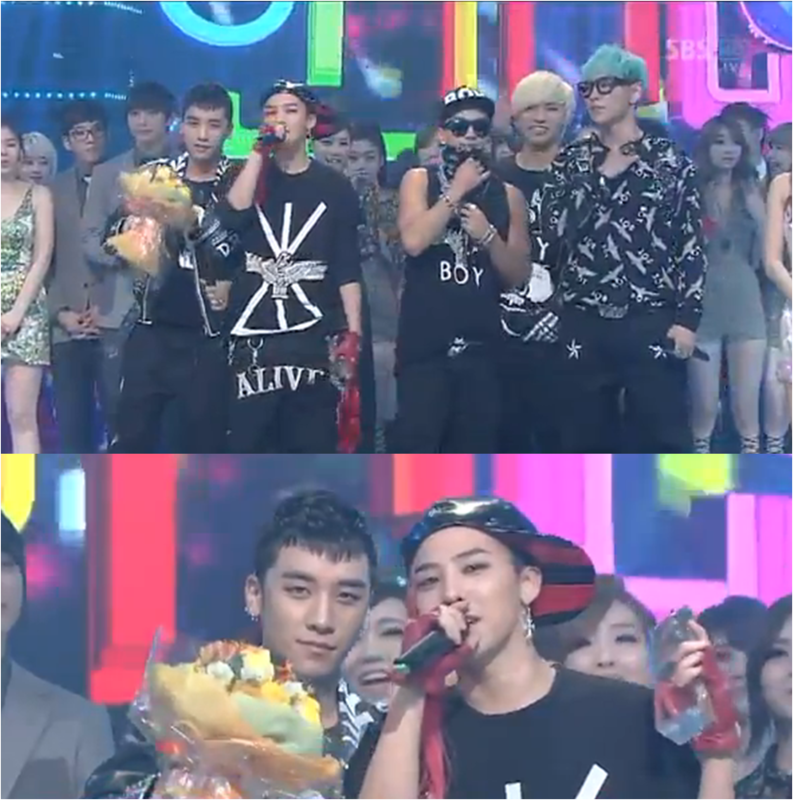 Congratulations on your triple crown win, BIGBANG! SBS Popular Music/ Inkigayo put on another great show today with comeback stages from 2AM with ‘I Wonder if You Hurt Like Me’; B1A4 with ‘Baby I’m Sorry’ and Lyn with ‘Teddy Bears’. NU’EST made their Inkigayo debut with ‘Face’. F.T. Island had their goodbye stage for their song ‘Severly’. but the winner that came out on top this week was Big Bang.